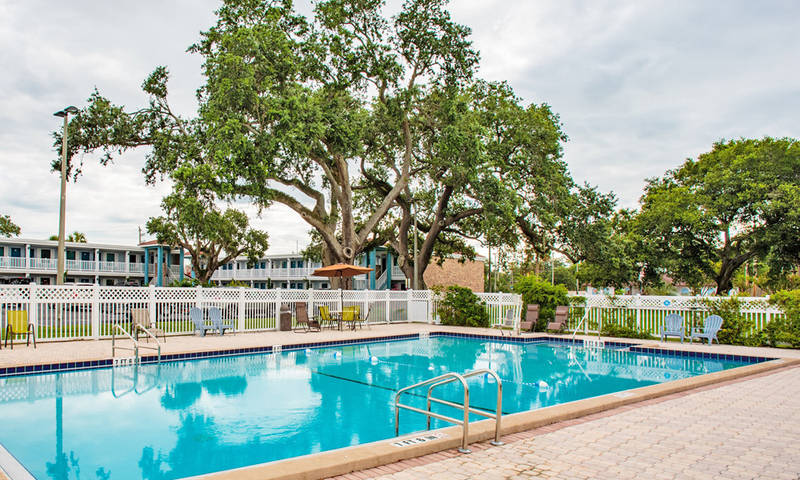 The Southern Oaks Inn offers authentic Southern hospitality along with modern conveniences for St. Augustine visitors. Nestled in six wooded acres of live oaks, this charming inn provides its guests with an atmosphere of peace and relaxation in a convenient location just north of the historic district. The pet-friendly inn offers complimentary country breakfasts, a beautiful outdoor pool, lovely rooms with all the amenities, free parking, and full concierge services to help guests make the most of their vacation in the nation’s oldest city. 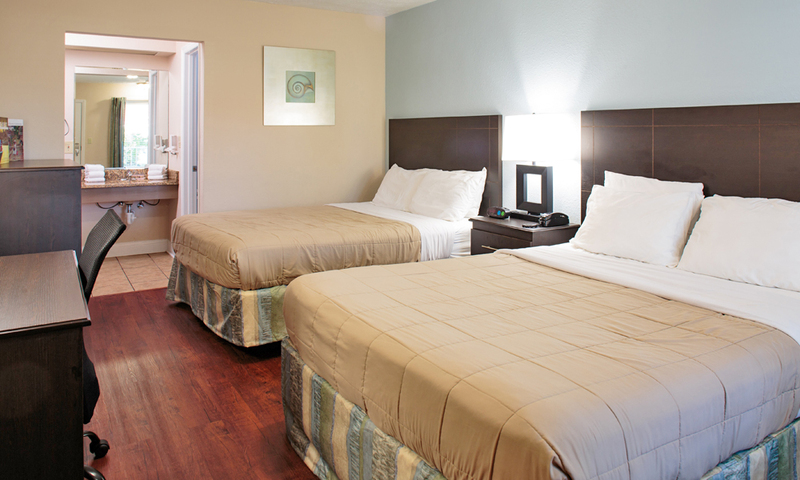 Guest rooms are spacious and inviting, and offer all the amenities you expect from quality accommodations. The Southern Oaks Inn’s new room design features comfortable king- or queen-sized beds, laminate wood floors, and wall-mounted flat screen television, as well as a convenient microwave and mini-fridge. There are also wheelchair accessible rooms and a chair lift in the pool. 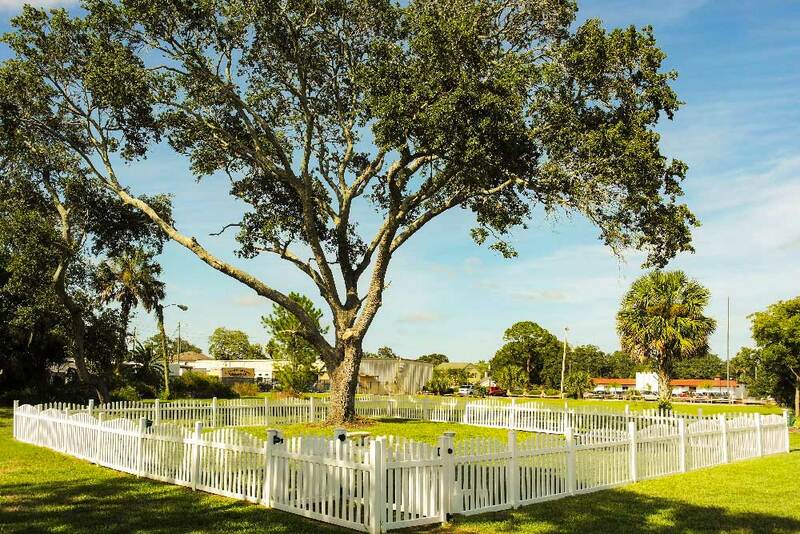 Guests who bring their pets with them will love the many shaded areas and the fully fenced in dog run near the sparkling outdoor pool. The fee for bringing a pet is only $20 per night. Southern Oaks Inn’s complimentary concierge services will assist guests in planning their vacation in the nation’s oldest city. Information is available right in the lobby — maps, trolley schedules, brochures, and restaurant information. The knowledgeable staff is always happy to help, with insider tips on local events, tours, and the many special adventures available in the St. Augustine area. The Inn is a short walking distance to Old Town Trolley and Ripley's Red Trains. It's also just minutes by car from the downtown attractions, shopping outlets, Vilano Beach, and St. Augustine Beach, with ample room for parking. Wi-Fi access, outdoor pool, business center, coffee maker, complimentary breakfast, mini fridge and microwave, flat screen TV, fenced-in dog run, plenty of free parking. Be the first to Review Southern Oaks Inn!